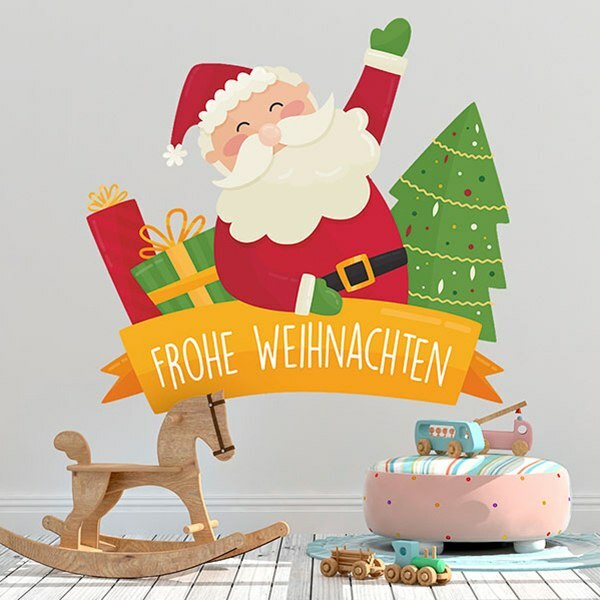 Kids wall sticker Merry Christmas, in German. One of the most important protagonists of Christmas. 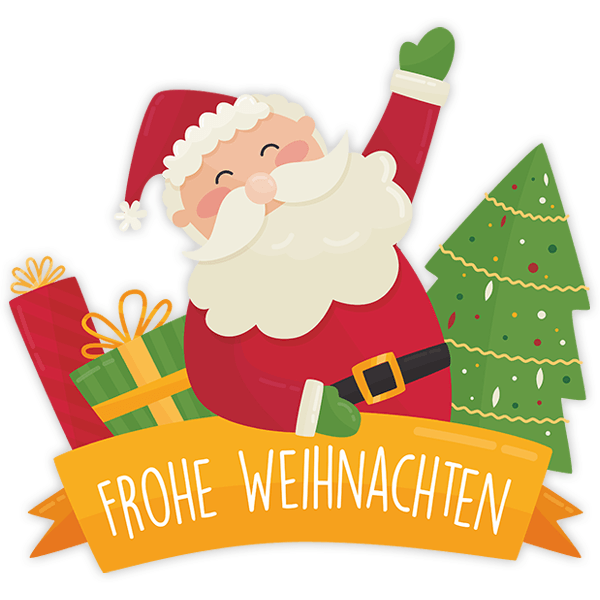 Santa Claus always in red with a big white beard, on the night of December 24th with his reindeer sled he travels around the houses leaving gifts. Decorate a children's room with him.